The dilapidated storefronts and crumbling edifices of downtown Paterson, New Jersey tell the story of a town battered by the winds of change. Once a booming hub for manufacturing—in fact, it was the first planned industrial city in the US—Paterson has never quite rebounded from a cascade of factory closures in the latter half of the 20th century. Since the 1960s, the city, New Jersey’s third-largest, has suffered from high unemployment and white flight—as well as a series of terrible floods and fires—leaving a sagging economy now held together in large part by a recent influx of immigrants. Enter the National Park Service, which, while far from reversing Paterson’s economic fortunes, has worked to preserve an important slice of the city’s natural and human history. 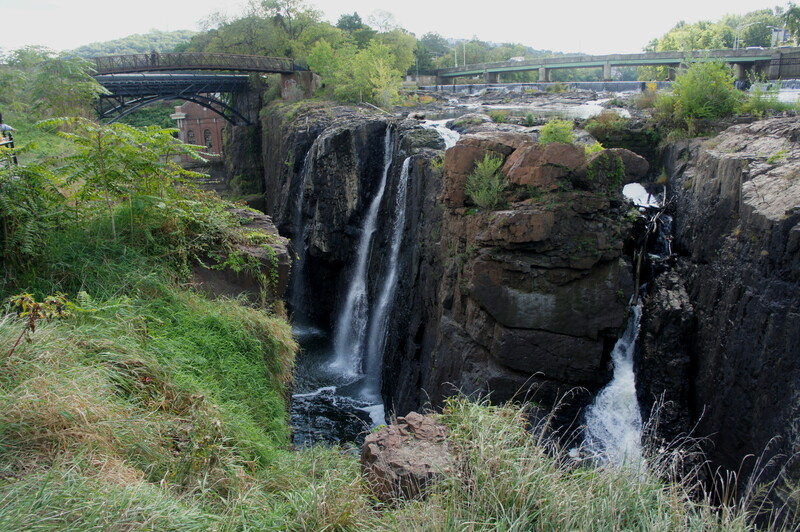 Paterson Great Falls National Historical Park, inaugurated as a Park Service site in 2011, centers around Passaic Falls, a 77-foot chute that is both naturally beautiful and essential to the city’s origin story. 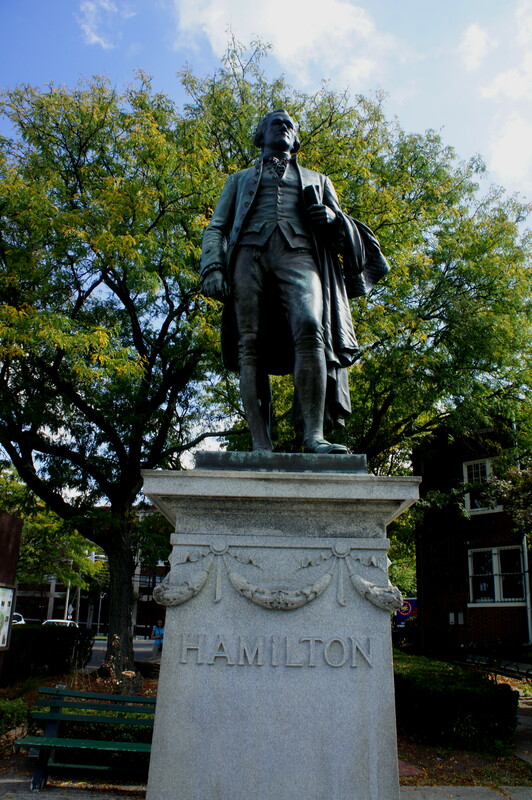 The protagonist in this story is none other than Alexander Hamilton, the distinguished founding father and America’s first Treasury Secretary, who founded Paterson in 1792 on the idea of using the water power of the Passaic River to fuel industrial development. Two years later, engineers completed the construction of a “raceway” system that channeled the racing waters above the falls to power a bevy of local factories. In the next century, industry in Paterson took off, and the city came to be known as the “Silk City,” named for its predominant textile, made possible by Hamilton’s hydropower project. 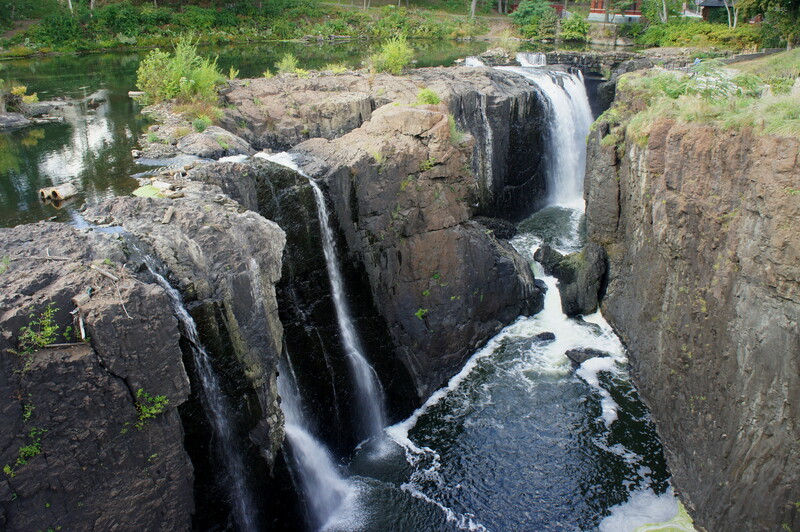 Today, Paterson Great Falls National Historical Park comprises shuttered factory buildings, a high suspension bridge, and a set of excellent overlooks of Passaic Falls. 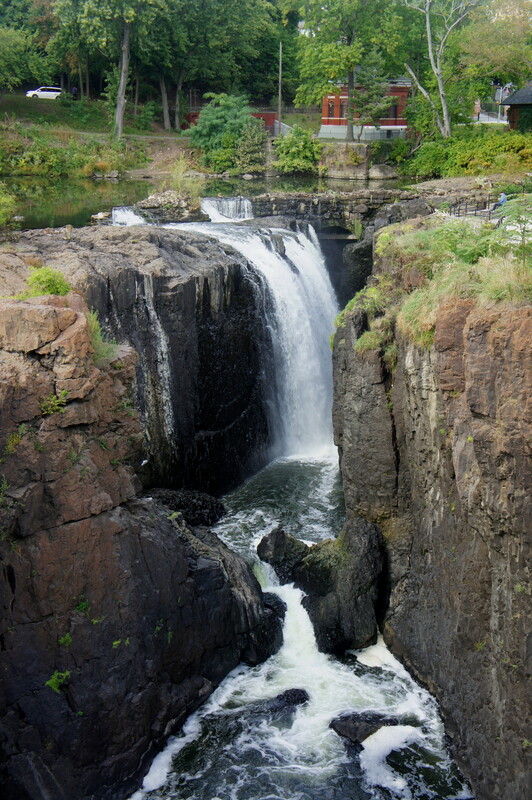 Begin your visit at the parking area and main overlook of Passaic Falls, then walk to the Paterson Museum or Great Falls Cultural Center (where the title track from famed Broadway musical “Hamilton” plays on a loop). It’s worth walking from here to Mary Ellen Kramer Park, a ¼-mile trip along wheelchair-accessible paths and sidewalks. Along the way, the journey passes behind the S.U.M. 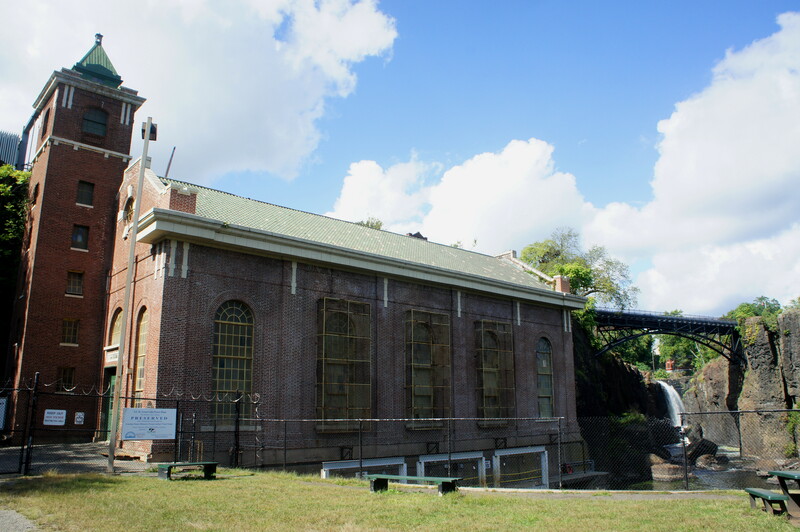 Hydroelectric Plant, then traverses a high bridge over the Passaic gorge, fed by the cascading falls. A small plaque in Mary Ellen Kramer Park summarizes the geologic story: around 190 million years ago, lava flows laid the foundation for the basaltic cliffs of today, and, thanks to uplift, formed a narrow notch, into which the Passaic River now tumbles. By volume, Passaic Falls is surpassed only by Niagara Falls for the distinction of largest waterfall east of the Mississippi River. 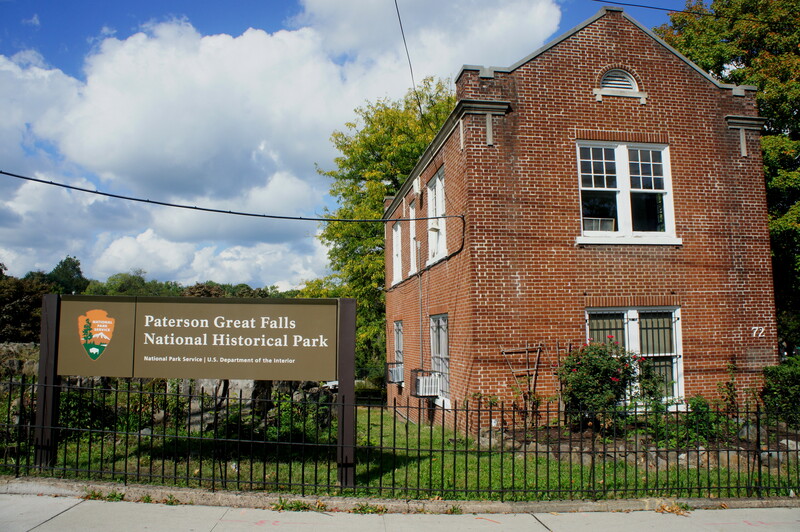 Check out the photos below for a closer look at Paterson Great Falls National Historical Park, a worthy destination for travelers heading through northern New Jersey. 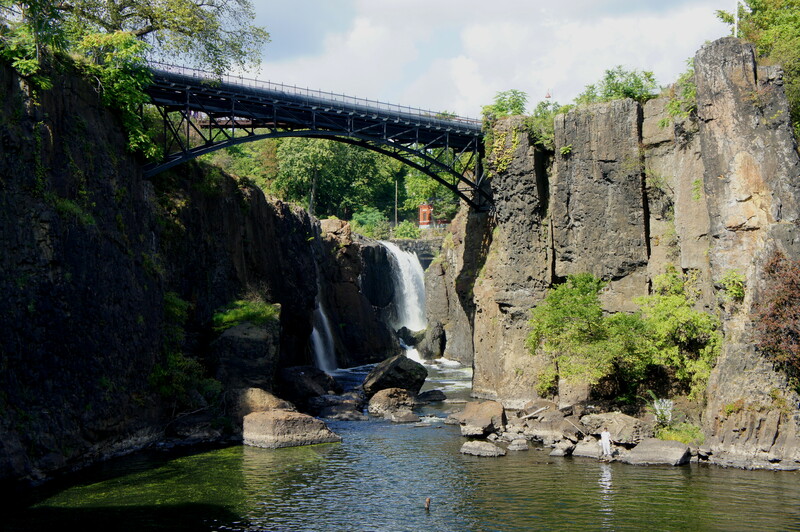 This entry was posted in New Jersey and tagged Alexander Hamilton, historic, Mary Ellen Kramer Park, New Jersey, Passaic Falls, Paterson, Paterson Great Falls, Paterson Great Falls National Historical Park, waterfall. Bookmark the permalink.